Inject Butler's winning culture and up-tempo offense into your program! This video will give you insight behind how LaVall Jordan is putting his own stamp on the successful traditions of the Butler basketball program. He shares his experience with the "Butler Way" culture that has helped the Bulldogs find sustained success. Additionally, you will learn how Butler plays up-tempo with their transition offense. Jordan breaks down the terminology and concepts of the fast break and also provides several practice drills to help you easily implement this offense with your team. With the program's sustained, consistent success, the secrets of 'The Butler Way' have been regularly sought out by writers, coaches, business leaders, and anyone looking to build a strong team. Coach Jordan shares from his own experience with the 'Butler Way' as not just a new coach, but also having lived the culture as a player. You will learn how to teach your players three levels of accountability, how to develop an attitude that seeks constant improvement, and, how to build a powerful culture that is passed down from one generation of players to the next. Jordan also explains his up-tempo offensive philosophy in great detail. This system focuses on creating the mindset and the skill set needed to provide players the freedom to play fast. You'll see how to get quick strikes in the initial seconds of a shot clock and learn the spacing rules for players running the court. Jordan breaks down different lengths of the court into four zones that will help guide your players' decision-making process in the fast break. You will also see how you can develop a menu of plays for your players to use in early offense, including an assortment of step-up ball screens, weaves, and drag screens. Five practice drills to build this offense are also demonstrated. 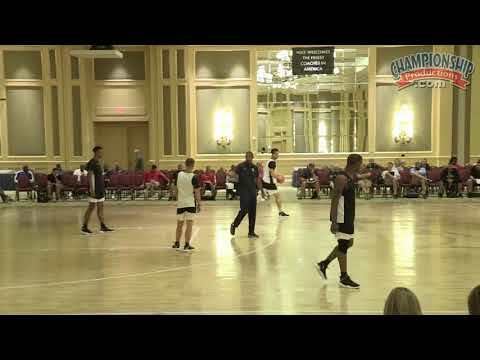 Jordan shares how you can change your defensive shell drill to hard-wire the instinct to get out and run in your players. The "Rebound, Outlet" drill will clean up the technique of your rebounder and point guard in order to get the ball up the floor faster. You'll see how to teach your athletes to consistently convert quick strikes in the "4 Second Box" drill. Meanwhile, the "Slice Shooting" drill is a great way to break down options from your transition offense menu. These drills will become the foundation for running like the Butler Bulldogs! If you've ever wanted to learn how Butler has generated a rock solid foundation for success, this video on team culture, and transition offense, delivers!